Buster Keaton’s third full length feature film. Buster is a cinema projectionist framed for theft by a jealous rival for his girls hand. It is a sublime study of film and fantasy; fast moving and surreal with Keaton becoming an imaginary detective in his dreams. 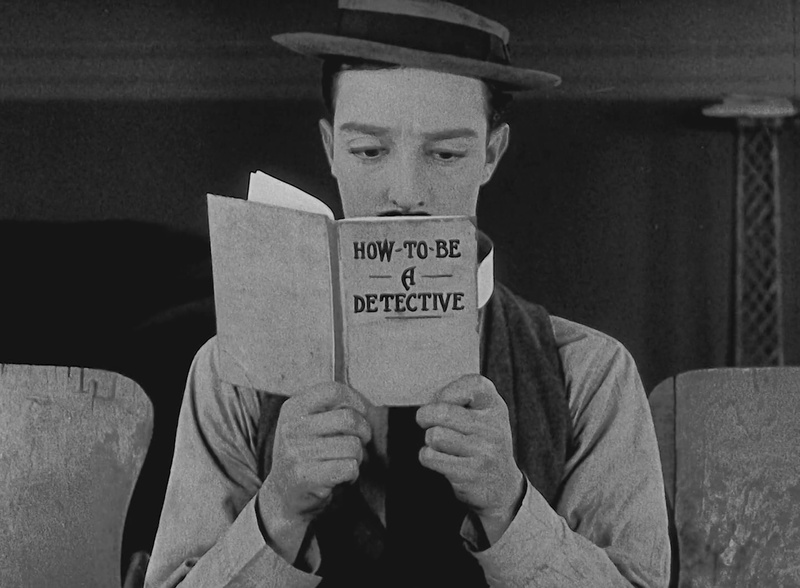 Buster Keaton was decades ahead of his time as proven by the incredible comic sequences – a veritable cascade of unbelievably complex gags. This rare Keaton gem is being re-discovered as one of Keaton’s funniest and most assured films. Blue Grassy Knoll wrote this score in 1997 for the Melbourne International Film Festival and has been performed around the world, including a three-week season at the New Victory Theatre in New York in 2001. It is still available for programming.